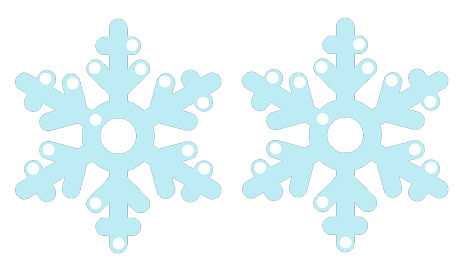 The weather forecasters hadn’t lied: for once, it was genuinely snowing in London and, after a few days of apocalyptic wintery weather, the capital had ground to a halt. 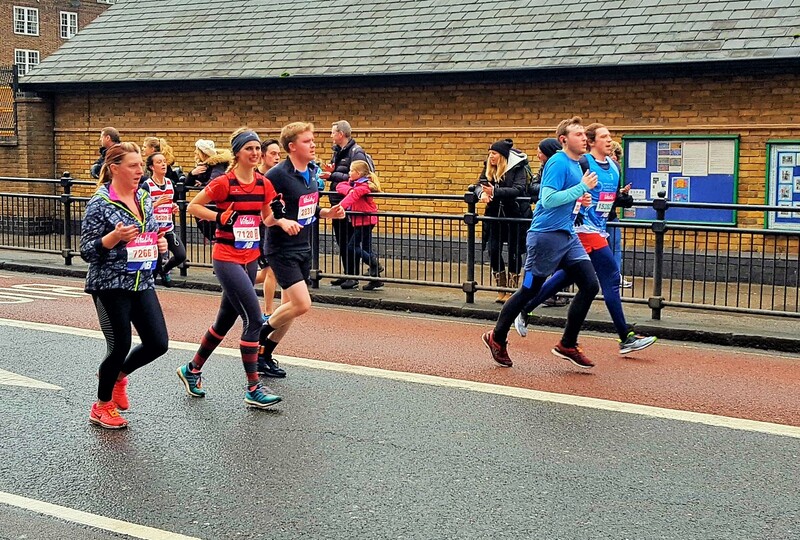 Thankfully, after a few tentative days, the Big Melt was in full swing and, with that, the Big Half – London’s newest Half Marathon, could take place a few days later. On his flight in from Ethiopia, Mo would be sleeping soundly: the weather would be fine and, for the fourth time in his career (Newcastle; Cardiff; Lisbon), he would indeed get the opportunity to line up against me (and a few thousand others). 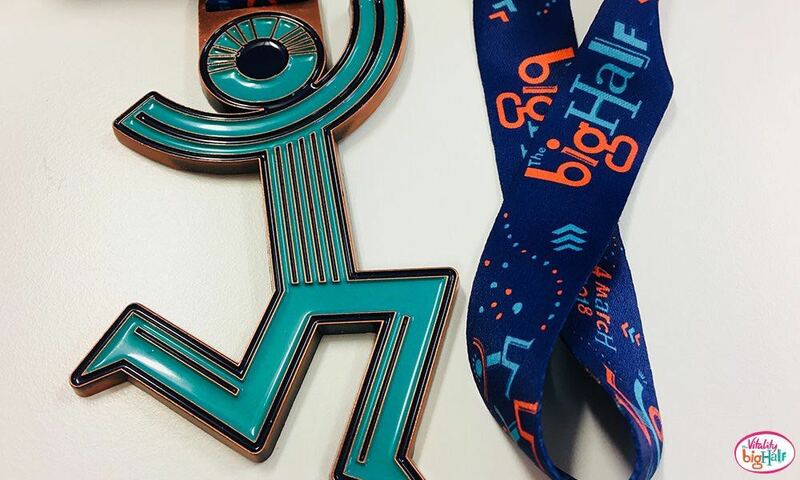 The Big Half is the brainchild of the London Marathon organisers and is deliberately scheduled to take place 7 weeks before the marathon as an ideal test of one’s race sharpness. 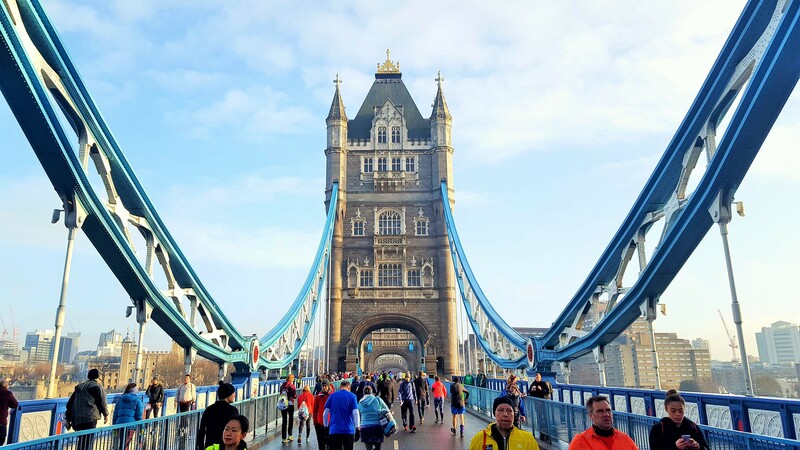 It mostly covers the first half of the actual marathon’s route – albeit in reverse order – and starts out at Tower Bridge before going out to Canary Wharf and back, across the river and out to Greenwich via Bermondsey. Despite its fresh face on the circuit, more than 11,500 runners lined up for this first edition. Somehow, I had (mistakenly?) qualified for the Championship entry so got the luxury of a heated changing area with mats to stretch, plentiful facilities and the chance to warm up at the front of the pack. Meanwhile, Callum Hawkins (4th at the World Marathon Championships in 2017 with a 60-minute flat half marathon PB) and Mo Farah (who needs no introduction) both jogged by like gazelles, their comfortable warm-up pace a frightening reminder of the gulf they and Kenyan Daniel Wanjiru (London 2017 Marathon winner) would rapidly put between them and the rest. Though the organisers had warned everyone to wrap up extra warm at the start, the weather on the day was actually perfectly decent. 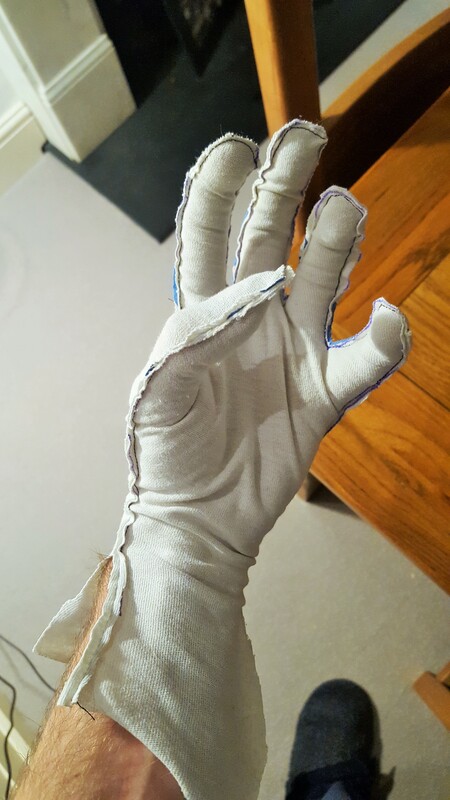 I didn’t need the extra t-shirt and I certainly didn’t need the disposable home-made gloves Pippa had lovingly made for me out of an old t-shirt! 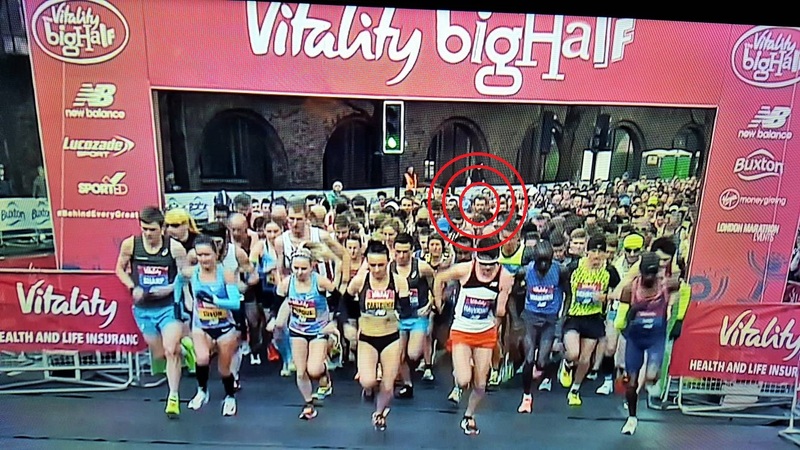 Then, at 9am sharp, the gun went and, with my 6ft5 head poking out in row 4, we were off. The start heads east with a very marginal downhill gradient. Like in many races, this encouraged a slightly speedier-than-sensible start and I went through the first kilometre marker at a 73-minute pace, a sure sign that, maybe, the wheels would be coming off sooner rather than later. Unexpectedly though, the gears were feeling clunky too – paces which felt relatively pedestrian in training runs not too dissimilar in speed were uncomfortable. After a mile or so, we headed into the Limehouse Tunnel for a mile – going down: fine. Staying under: fine. Coming back up the steep hill out: maybe I should have done a little more cross-country this winter… With my quads burning, I was begrudging my total lack of hill training but pig-headed enough to keep going at it. Through Canary Wharf, the Garmins always lose all satellite signal and go crazy so, despite having ‘recorded’ a mile in under 3 minutes (quite an achievement – thank you), I knew to hammer the effort on and keep pushing. The race, as a whole, was brilliantly organised: the pre-race updates (in particular for the weather) were regular and comprehensive, the fuel stations were regular and plentiful and the race signage was regular…though at times unorthodox. My favourite was the somewhat euphemistic sign announcing that the next 900m would be ‘infrequently even’ as we approached the entirely frequently bloody uneven cobbled wharfs before Tower Bridge! At the front, Mo, Callum and Wanjiru were taking it in turns to take the lead. Me, well, as the first race of the season, at least I could say it’d be a season best! That said, at the halfway point, my heart did sink a little bit when I was overtaken by a male runner aiming to beat the world record in a wedding dress. As we crossed the bridge, the crowds were probably at their densest, though nothing like what the April marathon support is like. Shortly afterwards, as we approached the windiest part of the course in Bermondsey, a man wearing only underwear overtook me. Great. By now, the twistiest parts of the course were out of the way and it was merely a case of staying focused, ignoring the niggles and slogging it to the end. While I still had a few miles to go, the elite runners were probably already warmed down, bathed, massaged and changed. After a closely fought race, Mo had sprinted away from Wanjiru and Callum Hawkins to take the win in 61:40 in what was a relatively slow time. All in all, it was a slightly tougher course than planned, mostly because I’d assumed it’d be pancake flat and I hadn’t allowed for the amount of sharp turns and cobbles. The medal, however, is probably the coolest one I have and, while I didn’t get a time I had hoped for, I got what most Spring marathoners really came for: a benchmark of one’s current standard and a feel for areas to work on. In my case, time to go climb some hills (and, failing that, maybe buy a pair of those Nike Vaporfly shoes all the fast runners seemed to be wearing! ).